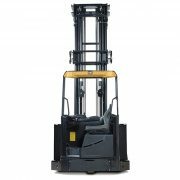 Categories: Reach, Multiway & Turret Trucks, Warehouse Range. 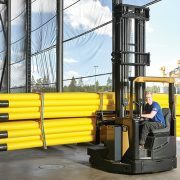 Multiway Reach Truck, with 2000-2500kg lift capacity. 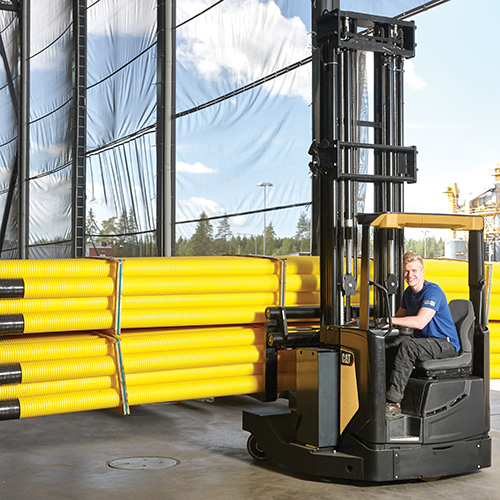 Durable components and quick service access minimise downtime and bills. 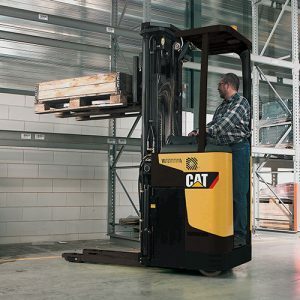 High-strength, single-unit load wheels, with cast instead of welded parts, turn within the chassis to avoid risk of collision damage and are easy to reach for maintenance. Full-colour display panel, with clear information in operator’s own language and simple-to-learn functionality, advises on truck status, avoids misuse and protects your investment. State-of-the-art adjustable armrest combines anatomical support with free movement, perfect hand positioning and spring-force-optimised fingertip hydraulic controls for comfortable, low-effort operation. Intermediate step and ergonomic grab handles allow easy and quick ‘swinging’ transfers to and from a spacious, high-comfort cabin whose low seat position gives extra headroom. Driver comforts include fully adjustable seat and steering wheel, optimally shaped and angled pedals, and other intuitive, ergonomically arranged controls. 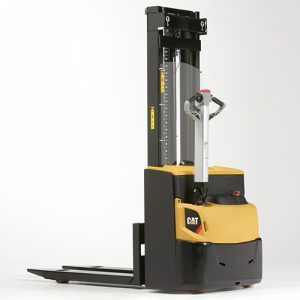 Automatic aids include progressive steering, curve control and reduction of drive and reach speed with mast height, for smooth, safe and efficient driving. 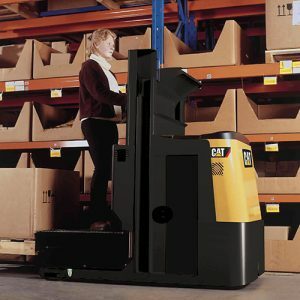 Lift height and load weight indicators are included as standard to encourage safe handling. 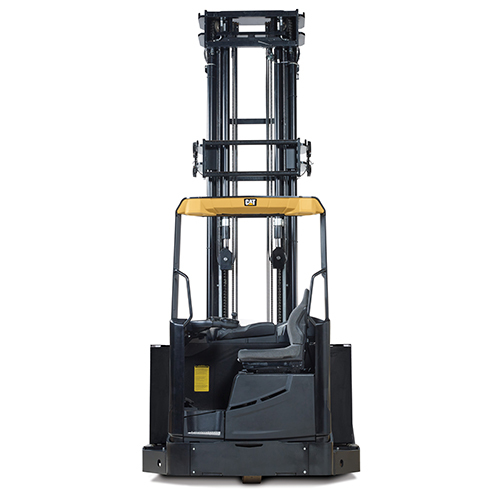 Hydraulic braking is highly effective, allowing confident highspeed work, and requires little maintenance. 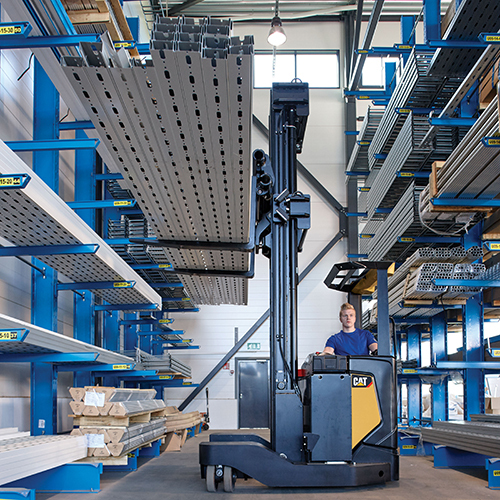 All-wheel synchronised steering, together with fork positioner, simplifies handling of long loads in narrow aisles. Multi-directional travel – forward/backward, sideways, diagonal and rotational – is complemented by an agile cornering mode and another for automatic transition between normal and lateral modes without stopping. 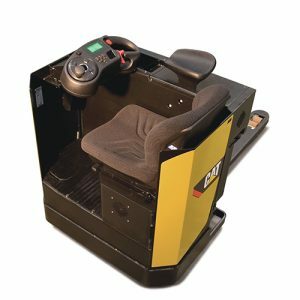 Each load wheel has an independent steering motor, controller and brake system, and turns 360° in either direction, for unbeatable manoeuvrability, speed and precision. 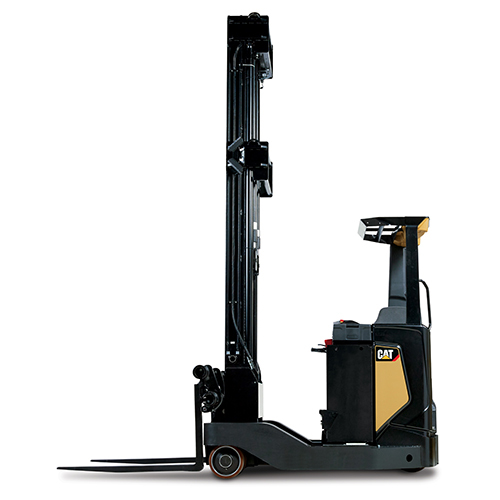 Responsive Drive System (RDS), featuring S4 mast handling, reacts to speed of accelerator pedal and hydraulic control movement, adjusting performance mode to meet operator’s changing needs. High-quality fork positioner, with inbuilt tilt function, has a wide spread to cope with a great variety of load dimensions.